Principal & Board Member, Stellar Holdings, President & CEO, Stellar International Founder & President, Stellar International Networks, Washington State, U.S.A.
Betty Blount, Owner, Architect, Designer, Zena Design Group, Washington State, U.S.A.
Betty Blount is the owner of Zena Design Group, an architectural and interior design firm which focuses on hospitality design. She has been working with the Shangri-La hotel group and the Hyatt hotel group designing local and international projects. 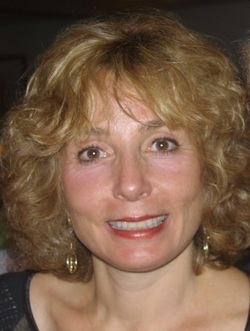 Betty founded Zena Design Group focusing on hospitality, specialty commercial and private residential design. Her background began in art and architecture, with degrees in architecture and business. She has also worked in architecture and feasibility consulting, and then expanded into interior architecture and design. The firm concentrates on projects where attention to detail is critical to the outcome of the project. Recent projects have included clubs, hotels, restaurants, and private residences. A major element of design is to incorporate art, artistic elements, and local craft into projects, using materials and techniques that are unique to the area or fit within each setting. Also, a central concept is recognizing the challenge of using new materials, techniques, styles, etc., yet not compromising the element of timelessness of the space. The head of the China Practice Group and the Asia Communications and Technology Practice Group, Jeanette K. Chan is a partner in the Corporate Department and splits her time between the firm's offices in Hong Kong and Beijing. Her practice has focused on foreign direct investments into the PRC, with emphasis on joint ventures, mergers and acquisitions and private equity investments. She has also been an active participant in the Chinese telecommunications, IT and media markets since 1994, when they first opened to foreign companies. The other industries Ms. Chan has been involved in include insurance, banking, chemicals, pharmaceuticals and health care. Ms. Chan spent several years with Paul Weiss in Hong Kong, New York and Shanghai prior to relocating to Hong Kong. From 1987 to 1989, she managed the firm's Shanghai presence, assisting clients in their investments and operations in Shanghai and elsewhere in China. In addition, Ms. Chan spent almost two years based in Hong Kong as the senior international legal advisor of Cable & Wireless, plc for the Asia Pacific region, including their operations in China. Ms. Chan is a Chinese speaker (Mandarin, Shanghainese and Cantonese) and writes Chinese. She is frequently recognized as one of the world's leading PRC law practitioners, particularly in the communications, media and technology industries, by various publications including AsiaLaw Leading Lawyers, Asia Pacific Legal 500, Chambers Global, IFLR 1000 and Who's Who. Chambers Asia 2010 ranked Ms. Chan as a "Band 1" leading individual for TMT in information technology and telecommunications & broadcasting in China/Hong Kong. Practical Law Company listed her as a leading individual for private equity: buyouts in China, telecommunications in China and Hong Kong and highly recommended for media in China and Hong Kong in 2010. 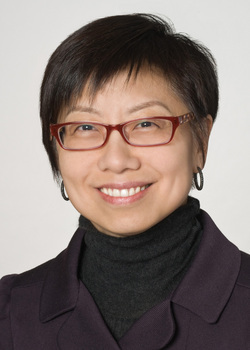 Asialaw Leading Lawyers 2010 identified Ms. Chan as a leading lawyer in TMT and venture capital & private equity. Ms. Chan was voted one of the "20 Leading Lawyers" by Asian Legal Business' Leading M&A Firms survey 2009 and for the sixth year Asian Legal Business named Ms. Chan as a "Hot 100" legal practitioner in Asia. Asian-Counsel magazine selected Ms. Chan as an "External Counsel of the Year 2009." Ms. Chan was noted as a leading individualin TMT in the Asia Pacific Legal 500 2009/2010 edition. Ms. Chan was also noted as a Paul, Weiss "Leading lawyer" in China M&A and Hong Kong private equity by IFLR 1000 2010 edition. Ms. Chan is an elected member of the Council of Governors of the Cable and Satellite Broadcasting Association of Asia ("CASBAA"), and is a foreign legal consultant to the All China Lawyer's Association.Ms. Chan is a member of the New York Bar. She is also admitted to practice law in Canada, the UK and Hong Kong. 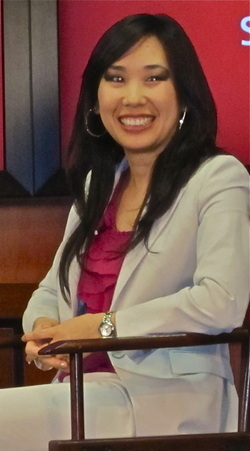 Ms. Chan received her legal training at the University of British Columbia Law School and an LL.M. degree in international law from Harvard Law School. What musical touchstone does President Barack Obama, the most powerful ruler in the world, share with Aretha Franklin, crowned the greatest singer of the rock era by Rolling Stone Magazine? The answer is the music expertise of Tena Clark. The company she founded, DMI Music & Media Solutions, programs the President’s music for Air Force One, and Clark also recently produced the Queen of Soul’s most recent album. Patti LaBelle, Aretha Franklin, Chaka Khan, Natalie Cole, Jennifer Holliday, Gladys Knight, CeCe Winans, Dionne Warwick, Patti Austin, Stephanie Mills, Yolanda Adams and Rev. Shirley Caesar are among the iconic recording artists for whom Clark has written and/or produced for. In 2009, Natalie Cole was honored with two GRAMMY awards for Still Unforgettable, executive produced by Clark. A musical compass has guided Clark from rural Mississippi to Hollywood. Beginning at age five, she would visit New Orleans with her mother, a songwriter from the big band era, where she absorbed the city’s intoxicating rhythms. Her first professional gig at 15 was playing drums at the Crescent City’s famed Roosevelt Hotel. Since then, Clark has excelled in multiple genres across an astonishing breadth of mediums. Highlights include penning award-winning country hits, contributing to multi-platinum movie soundtracks including Hope Floats, The Five Heart Beats, Where the Heart Is, and My Best Friend’s Wedding, writing for television shows like Desperate Housewives, and creating the instantly recognizable national campaign theme, “Have You Had Your Break Today,” for McDonald’s. In homage to her musical and spiritual roots, Clark produced Church: Songs of Soul and Inspiration that included classic soul artists like Patti LaBelle and Chaka Khan plus contributions from Pulitzer Prize winner, Dr. Maya Angelou and Toni Morrison. A stratospheric anthem from this collection, “Way Up There,” written and produced by Clark and performed by Patti LaBelle, was nominated for a GRAMMY award. “Way Up There” was originally commissioned by NASA as their theme song. 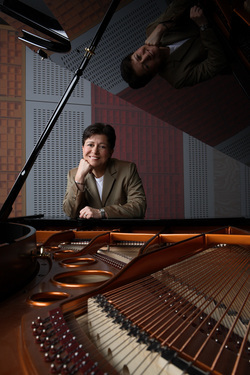 Clark, a preeminent songwriter, is one of the rare female producers in the music business, and is among the most influential women in American media. 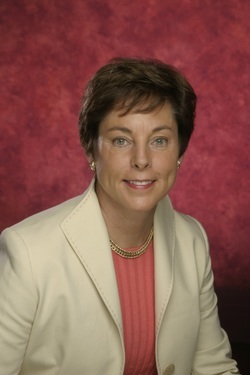 Recently, Clark was named “Entrepreneur of the Year” by the Committee of 200, a prestigious group of the highest ranking women executives in successful private and public companies. Also, Clark recently launched “Twist, An American Musical” to rave reviews in Atlanta; Clark is the composer and lyricist. “Twist” was directed and choreographed by Debbie Allen. As CEO/Chief Creative Officer for the industry leader DMI Music & Media Solutions, the company she envisioned 13 years ago, she is involved with every imaginative aspect of the forward-thinking firm’s far-reaching endeavors. But she is never far from her recoding studio and her world-class campus. Writing eloquent songs for remarkable artists is at the heart of her musical soul. Elizabeth is the founder and president of Elizabeth Haenle Weddings, Lifestyle and Events, a consulting company that focuses on custom weddings, lifestyle and social events around the world. She is also the president and CEO of Peridot Paper, the award-winning custom gift packaging and gift design company she founded in 2003. Prior to moving to Beijing, Elizabeth served eight years at the White House as the social secretary and residence manager to the Vice President of the United States. During her time at the White House, Elizabeth planned social events on behalf of the President and Vice President with many global leaders. As residence manager, she was also responsible for coordinating the interior and landscape design, the culinary program and the art collection for the official residence of the Vice President. While at the White House, Elizabeth also traveled extensively on behalf of the Vice President to plan events in the United States, Asia, Europe and the Middle East. 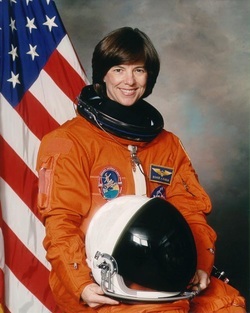 She previously worked for two U.S. presidential campaigns, a member of Congress, a former Secretary of Commerce and the 1996 centennial Olympic Games in Atlanta, Georgia. Prior to joining Forbes, Ms. Falkenberg was an associate at Davis Wright Tremaine where she specialized in media law and represented various national magazines and broadcast clients. Before joining Davis Wright, Ms. Falkenberg clerked for Judge A. Raymond Randolph of the D.C. Circuit Court of Appeals, and was an associate at Wachtell Lipton Rosen & Katz. Ms. Falkenberg is a graduate of Dartmouth College and earned her J.D. from Columbia Law School, where she served as an editor of the Columbia Law Review. 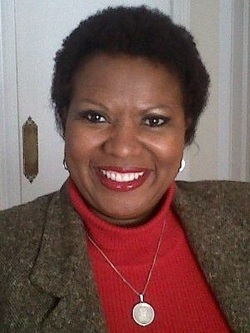 Brenda Brown Hunter is the Science Advisor in the Office of Defense Programs at the Department of Energy’s National Nuclear Security Administration (NNSA). She assists the Deputy Administrator in directing the Stockpile Stewardship Program (SSP), which is responsible for maintaining the safety, security, and reliability of the Nation’s nuclear weapons stockpile. The NNSA’s nuclear weapons complex includes three national research laboratories, the Nevada Test Site, and four production plants. Ms. Hunter is the representative on the Science Council for all of the production plants. NNSA approximately $5.2 billion program, with over 25,000 people around the country, encompasses operations associated with manufacturing, maintaining, refurbishing, and dismantling the nuclear weapons stockpile. Defense Programs also provides oversight and direction of the research, development, and engineering support to maintain the safety and reliability of the nuclear weapons stockpile in the absence of underground testing, and assures the capability for maintaining the readiness to test and develop new warheads, if required. Ms. Hunter holds a Bachelor of Science degree from Alabama State University and a Master of Business Administration degree from the University of Tennessee. Among numerous other awards, she is most proud to have received the Levi Watkins President’s Award while attending Alabama State University. 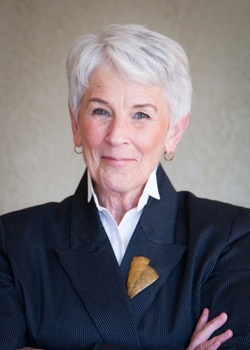 She is the recipient of the 2008 YWCA Tribute to Women in Business and Government award. Her talents and drive are visible within the organizations she serves. She expends her energy and her network of contacts to raise funds to support the mission of organizations, such as the American Cancer Society and United Way. Brenda Brown Hunter can be summarized as a real person of compassion and deep desire to effect positive impacts on her community and its citizens. Rosanne has been active on a variety of boards including The American Jewish Committee, Jewish Philanthropic Foundation, The Jewish Community Center, Women's Studies Advisory Council at UofA, the Foundation for Integrative Medicine, Angel Charity for Children, Susan G. Komen Foundation, the Center for Women and Democracy, and Washington State Women’s Forum. Ms. Lapan was recognized as a "Local Hero" by the National Susan G. Komen Breast Cancer Foundation in 1998. She authored "A Resource Guide for Breast Cancer - Breast Cancer Network, Tucson Guide," first published by the American Cancer Society in 1999 and was the first "Gift of Life" recipient by the American Cancer Society, Southern Arizona Chapter, in 2000. She earned her B.A. and M.A. at the University of Washington and earned her J.D. at the University of Arizona. Director, Undergraduate Programs, USC Marshall School of Business, California, U.S.A.
Guillermina Molina is the Director of Undergraduate Programs at the USC Marshall School of Business. In this position, she manages important co-curricular programs in the areas of career development, leadership development, and international education for nearly 4,000 business students. Since 2002, Guillermina has been instrumental in firmly establishing the USC Marshall Undergraduate Program within the top 10 best business schools in the country (according to US News and World Report). She effectivelycreated and fine-tuned programs that engage students in their career development path and that increase their global mindset. From July, 2006 through March, 2007 Guillermina also served as Interim Associate Dean. She began her career as a change management consultant at Accenture, working with clients such as Shell, the US Postal Service, and Ericsson. She also worked as a consultant and project manager at Sony Pictures Entertainment and The Game Show Network. Guillermina earned a bachelor's degree with honors from the University of North Carolina at Chapel Hill and a master's degree in Communication Management from USC's Annenberg School for Communication and Journalism. Guillermina lives in Culver City, CA with her husband and daughter. 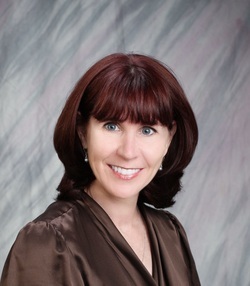 Colleen Payne, President & CEO, Mobile Cardiac Imaging, LLC, Oklahoma, U.S.A. Entrepreneur, author and professional speaker, Colleen J. Payne, is much sought after for her message on success, inspiration and empowerment. She is founder and CEO of Mobile Cardiac Imaging, LLC, (dba) MCI Diagnostic Center. MCI Diagnostic Center is one of the most successful and well-positioned companies in the medical industry and has been listed with Inc. Magazine as one of the 5000 Fastest-Growing Private Companies in America for 2007, 2008 and 2009. Payne delivers motivational talks that challenge audience members to take charge of their lives and careers while creating a sense of balance. She helps to illuminate the drive and determination that lives within each of us to uncover our best life yet. Payne has written numerous leadership and business articles, and has been featured in many publications, including Washington G2, Black Enterprise, Influence Magazine, and Inc. Magazine. Payne has appeared on national and local television with segments on Fox News, ABC, CBS and NBC. She was also named as one of Tulsa’s Most Influential People in 2008, was the SBA’s Small Business Person of the year in 2007 for the State of Oklahoma, and was selected as Business Innovator of the Year in 2003 by Black Enterprise Magazine. Payne is the author of I Did it My Way and…It Worked! a savvy, no-nonsense approach to business and entrepreneurship. She candidly discusses how she overcame the obstacles in her life and met these challenges head on. Her story demonstrates what is possible for entrepreneurs and provides an overall blueprint on how to most effectively run an organization. 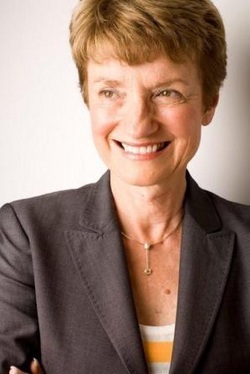 Rhona Silver, Founding Director, Caterbid.com, New York, U.S.A.
Rhona Silver is currently one of the Founding Directors of CaterBid.com. CaterBid.com is leading a nationwide Catering Revolution and changing the way events are booked. She is a visionary entrepreneur and a prominent figure in the catering industry for over forty years. She is a trailblazer, able to fill niche segments of the catering industry. Along with her children, Ms. Silver created CaterBid.com to revolutionize and simplify the way events are booked, taking catering into the 21st century. Rhona has traveled the world as an official representative of the United States catering industry first in Helsinki, Finland then Regal Latvia, Bahrain, and Dubai through a Women’s Mentoring Program and Business Summit led by former US Ambassador Bonnie McElveen Hunter. Ms. Silver previously owned the largest catering facility in the USA, where she showcased events honoring Presidents, Heads of State and Governors, as well as hosted numerous trade shows, weddings, and corporate events. She has been featured on NBC, W-ABC, CNN, and CBS for her catering expertise and advice. Ms. Silver is a long time member of The Committee of 200 (C200) as well as the Young Presidents' Organization (YPO). Ms. Silver is also as member of the Tiffany Circle of the American Red Cross, a cause that she is greatly devoted to. 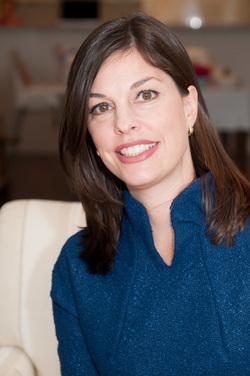 Ms. Silver also serves on the eWomenNetwork’s Foundation Advisory Council. She has been listed on Crain's Top 40 Women and is the proud recipient of numerous awards, including the Ellis Island Medal of Honor, Top 100 New Yorkers of the Year, Top 50 Women Awards on Long Island, NY, and Hofstra Law School’s Distinguished Alumni Awards. Rhona earned her J.D. from Hofstra Law.